I love reading! I love writing about books and making book lists. 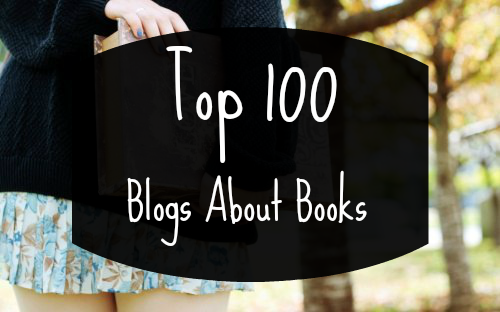 My most popular posts so far on this blog are about books. My highest traffic post is 50 books like 50 shades of grey and my second most visited post is 50 books like Divergent. The two posts brought me tons of traffic, much more than all the other articles combined. Maybe because I enjoyed writing these the most. so much. This blog needs more attention. 2. I am a reader by Kathy. She's a top 500 Amazon reviewer. Amazing reviews. 3. Jessabella Reads by Jessica. One of the best books blog! suggestions, this is your place. YA book reviews, interviews, giveaways and more. 7. The Forest of Words and Pages by Sabrina and Samantha. Beautiful blog with amazing reviews. 8. Bookish by Evie, Andrea, Jessica, Tiffany, Debbie. Absolute favorite blog. Definitely deserves more attention. 9. Katie's Book Blog by Katie. An old amazing blog full of great content. 10. Me, My Shelf and I by Amber. I am in love with this blog. 11. Candace's Book Blog by Candace. 13. Reviews from a Bookworm by Charnell. book reviews blogs with a lot of giveaways. 15. Daisy Chain Book Reviews by Leanna. adorable little girls that reads a lot. 17. Adventures of a Book Junkie by Stacee. 18. The Bookish Outsider by Fi Clark. This blog should be more popular. I love it. Giveaways, challenges and nice reviews. 19. A Dream Within A Dream by Stephanie. A super cute book reviews blog. interesting posts almost daily. I am in love with it. 22. Readers In Wonderland by Alise and Bec. They review YA novels. 24. Tynga's Reviews by Cindy. Beautiful blog with hundreds of books reviews. Cindy started it in 2009! Dedication! 26. Red Hot Books by Jen. 28. Caffeinated Book Reviewer by Kimberly. mother and daughter. I love it. 30. Pure Imagination by Lori. Such an amazing YA blog. 37. Addicted2Heroines by Anne and Cat. Such an amazing unique blog. I am absolutely in love with it. Deserves much more attention! 39. The Windy Pages by Kimberly. A beautiful blog started in 2011. 44. Laura Plus Books by Laura. One of my faves. 51. The Midnight Garden by Wendy. You should check this amazing blog. I found it 2 months ago and I've read most of it! Highly recommended! deserves a lot more attention. It's one of my inspirations. 61. Icey Books by Hafsah and Asma. Tahleen, Bridget, Lauren. So many beautiful ladies with tons of amazing reviews. and well made blogs. I absolutely love it. 69. Once Upon a Twilight. An amazing blog created by a team of beautiful ladies. Tons of giveaways and great reviews. A must-follow! 70. Ex Libris Kate by Kate Sowa. 71. Always YA at Heart by Ellen. 73. Every Free Chance Books by Chrissy, Melissa, Gina and Sara. Bec, Leone, Whitney, Sue, Maria, Yazmin. Oh my gosh, just check their blog! One of my fave blogs ever. 75. YA Bound Book Tours by Nereyda. 76. On Starships and Dragonwings by Anya. 77. Love is not a triangle by Lauren. 78. It Starts At Midnight by Shannon. Subscribe for this beautiful blog. 80. The Book Vixen. One of the most well done book blogs out there. 83. Reading Reality by Marlene. and I am a regular reader since then. I love it! If you are on my list you can get your badge for Top Books Blog of 2015. Keep being awesome!